Sunrise Beach View 12A is a lovely 3 bedroom self-catering holiday apartment on Westbrook Beach, 10 minutes north of Umhlanga on the beautiful KZN North Coast. 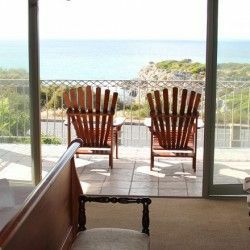 Sunrise Beach View 12A is a spacious apartment which has 3 bedrooms and 2 bathrooms. The unit can accommodate 6 people. The main bedroom has a full en-suite bathroom and is air-conditioned. The living area comprises an open plan dining room, comfortable lounge with DSTV and fully equipped modern kitchen with washing machine, dishwasher, fridge/freezer, oven/stove and microwave. 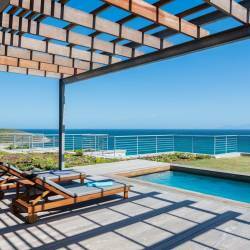 Large glass sliding doors lead to the large verandah which has spectacular ocean views, a gas braai and a 6 seater dining table. The complex has a communal pool and braai facilities on the roof and offers easy beach access from the main gate. Westbrook is a beautiful, well maintained Blue Flag beach with professionally trained lifeguards, shark nets and safe parking.